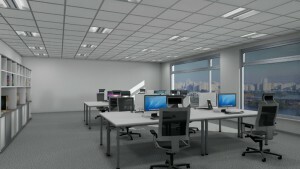 Daylight sensors in conjunction with well-designed lighting systems can maximize the qualities of daylight. The highest efficiency can be reached in environments with ample daylight coming through windows. The intensity of artificial lighting is constantly adjusted to reflect the incoming natural luminous flux. At noon all or most of the illumination can be provided by sun while early or late in the day this function is taken over by the artificial lighting system. Unlike PIRs used in the presence detectors their scanned areas should never overlap, as this could lead to instability of the lighting system: constant readjusting of different parts of the system, for example. The sensor itself reacts to the illuminance of the area directly underneath, in optimum conditions this would be the working area, as it requires constant quality of illumination. As mentioned previously, daylight is one of the most important agents in human health: its presence or lack affects circadian rhythms and the human eye is used to it coming from above, with vertical illumination providing quicker recognition of shapes and faces. The daylight sensor takes these qualities into account and helps the artificial light to supplant rather than replace the daylight itself. Most environments even if they have access to sufficient sunshine cannot utilize solely natural lighting. The conditions change dramatically during daytime, among different seasons and in changing weather conditions. Sunshine can also have some adverse effects such as creating glare on computer screens, decreasing or preventing their legibility. Although it seems that the sensor could be replaced with a simple manual dimmer that would be adjusted as needed, such a solution might be cheap but both inefficient and uncomfortable. 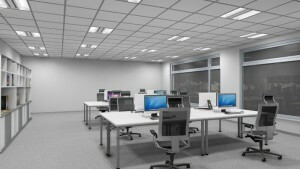 Human operator is not able to judge the overall illuminance level correctly, leading to either too much lighting and wasting energy, or too little lighting with adverse effects to people occupying the space. Moreover, the illumination changes during the normal course of the day, demanding constant manual adjustments. 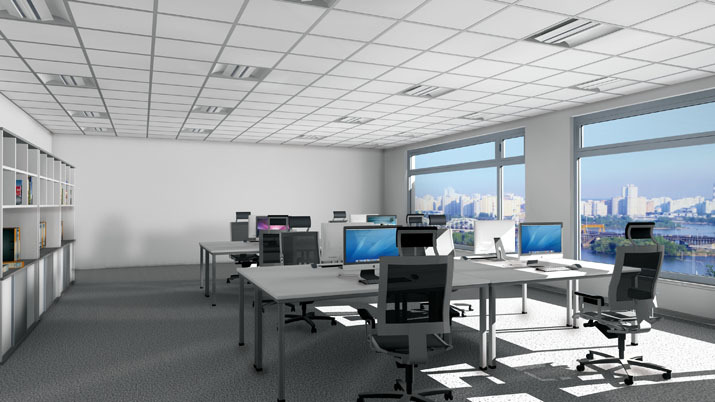 Daylight sensors in conjunction with well-designed lighting systems can maximize the qualities of daylight; prevent its drawbacks all the while using the whole system as efficiently as possible without compromising user comfort. The highest efficiency can be reached in environments with ample daylight coming through windows. The intensity of artificial lighting is constantly adjusted to reflect the incoming natural luminous flux. At noon all or most of the illumination can be provided by sun while early or late in the day this function is taken over by the artificial lighting system. The artificial light sources might never fully fade down, as turning them off and on frequently shortens their lifespan. The daylight sensors themselves work best when communicating with nearby parts of the lighting systems. Unlike PIRs used in the presence detectors their scanned areas should never overlap, as this could lead to instability of the lighting system: constant readjusting of different parts of the system, for example. 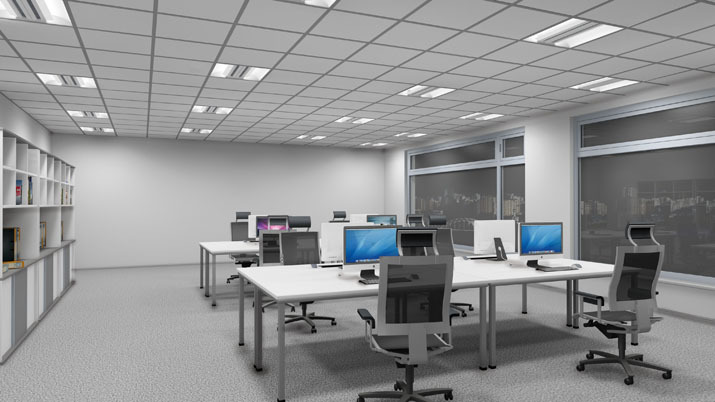 The sensor itself reacts to the illuminance of the area directly underneath, in optimum conditions this would be the working area, as it requires constant quality of illumination. The sensor itself should not be placed opposite to the sources of strong light or reflections, such as windows or mirrors, as this would negatively affect its readings. The detection depends strongly on the colour of the area under the sensor, which can lead to extreme circumstances, such as when a book is placed on an otherwise dark wooden tabletop. For such cases the changing of the lighting can be set to happen gradually as to not affect the comfort of the user. 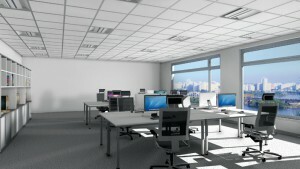 Special conditions take place when an environment does not have uniform access to daylight. In such cases the room can be separated into different parts for the purpose of daylight sensors, with their reading differently affecting different parts of the room. In the space further from the windows the base illumination level would always be higher than that by the windows. In case of total darkness outside the illumination level in both parts of a given space would be identical, provided solely by artificial lighting. Such conditions also call for specific design choices as the demand for artificial lighting would be higher in the space further from the windows. In this space the luminaires might provide less light than by the windows, providing energy savings by letting them work at less than 100 percent. This also improves their lifespan. Daylight sensor is the most energy-saving technology in the efficiency criterion and therefore receives two points in the LQS Value. All the others criteria in Efficiency chapter add just one point to the ranking.